As has frequently been the case in Derby of late, yesterday afternoon was of the rainy persuasion. 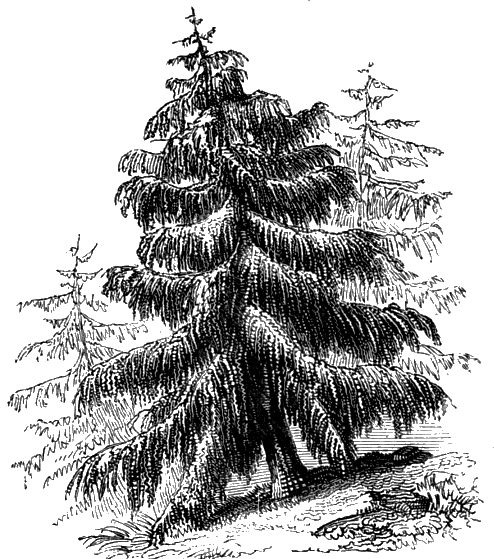 What to do with such a damp occasion? Another crafternoon with Britta (JaguarSnail), of course! I was mostly on the production line, folding envelopes in anticipation of a new version of the TangleClub to be introduced in June, making address labels to include as extras with craft fair goody bags, and then unwinding with a couple of new collaged notebooks. Colours for this one chosen by me! TangleCrafts, as drawn by JaguarSnail! Britta was working on a couple of embroidery samples from her new mini zine (coming soon to a TangleStore near you – but not quite yet! ); then while I collaged, Britta drew me in action, using her new copic marker pens. 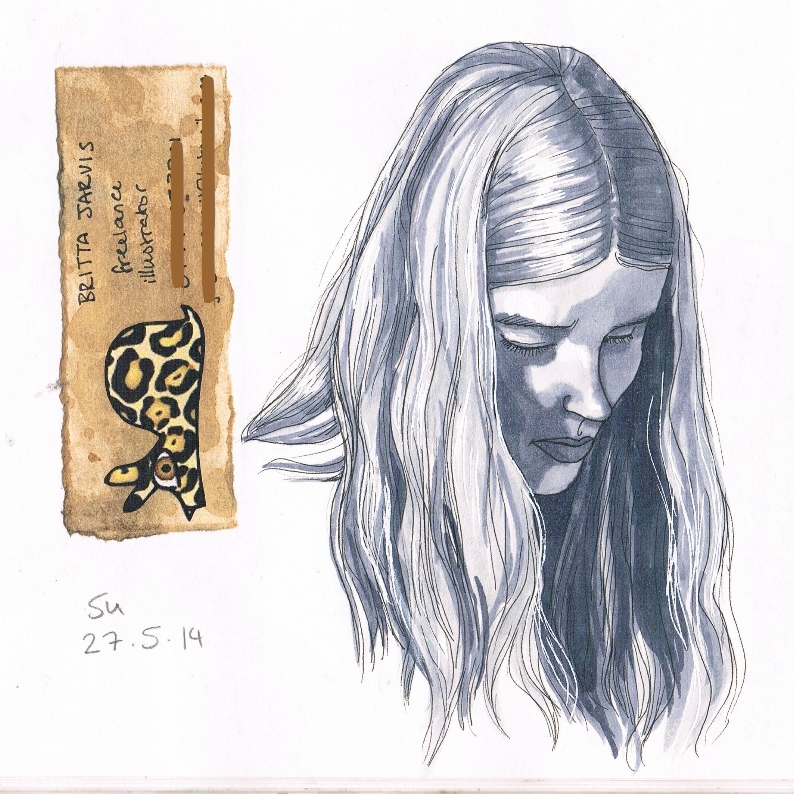 She was filling up gaps in an old sketchbook from her university days, hence the JaguarSnail trial business card shown (with personal info inelegantly edited out by yours truly) to the left of the drawing. Flattered though I am by the portrait, I’m afraid it does err to the flattering side & my face is definitely not quite so hollow-cheeked… The hair looks great, though! I love this ‘doodle’ so much! I immediately scanned it, then printed out a sheet as labels, so that Britta can actually mail them (the original being trapped on a tea-stained page within the afore-mentioned sketchbook). Thinking of adding them as a label set to the TangleStore – what do you think? 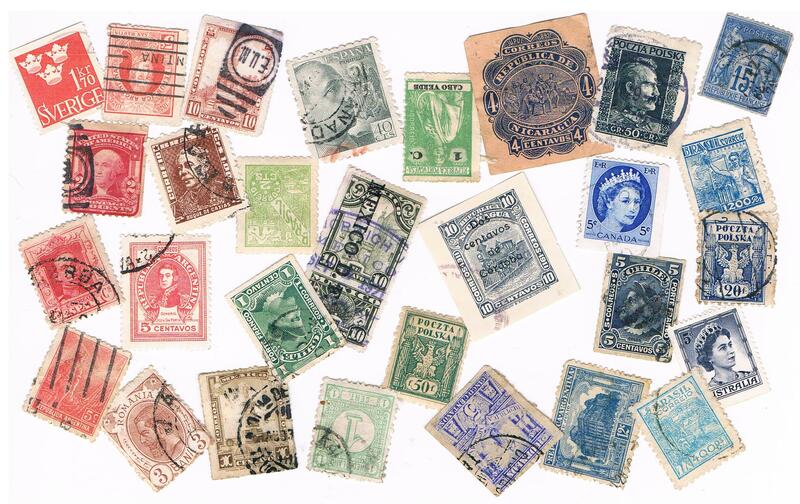 I should have had even more of Britta’s mail art to show you, as she brought along a whole batch of pre-artified envelopes, ready for me to list in the TangleStore. But I noticed (far too late in the day) that she had not signed her work, so they have temporarily left the building again, to return in the near future inc. JaguarSnail maker’s mark. 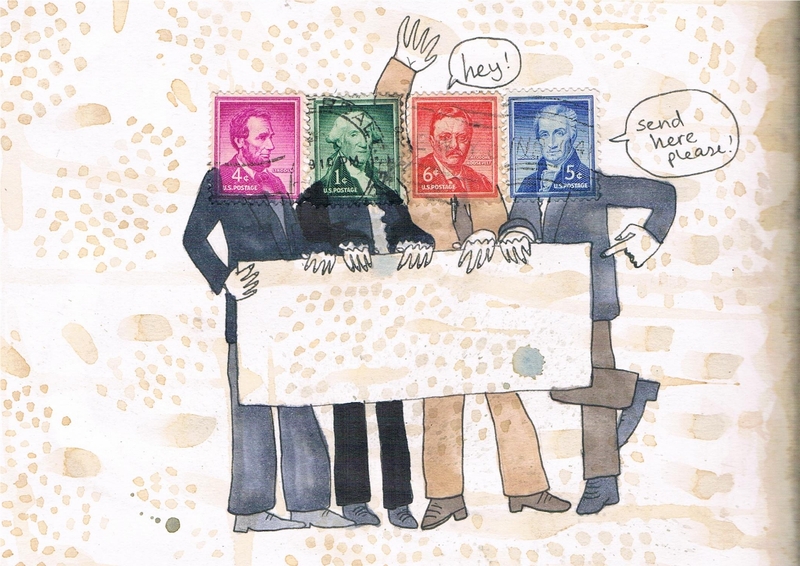 When I first started dabbling in patchwork-style collage with postage stamps, it was enough for me to see a variety of tone-on-tone colours in serendipitous side-by-side placement (left). Today, however, my attraction to creating more collages using this style of stampification was definitely on the wane – lots of stamps everywhere around me, but somehow not quite the right level of inspiration… (I have been in a state of what might be called overdrive since stampifying my first notebook and so this was a natural & perhaps overdue decline in enthusiasm.) Then – out of nowhere! – I was motivated to return to my old favourite Machins and…start cutting them up! 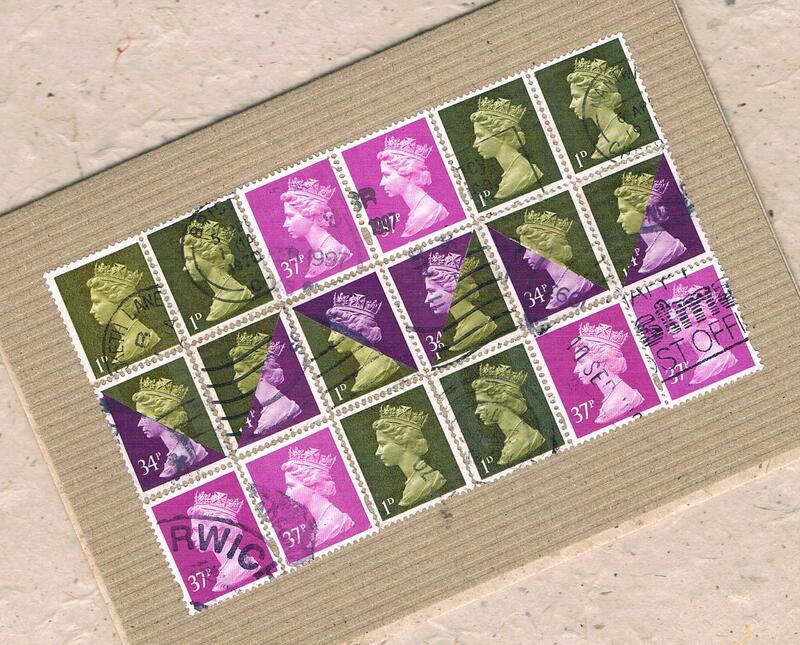 After spending a little time pondering the absolute sameness of the Machin stamp design – each issue identical in size and image, the only variable being in the colour – I just wanted to see what would happen if I took one half away and replaced it with an identical half in a contrasting colour. I’ll tell you what happened, it captured my imagination! 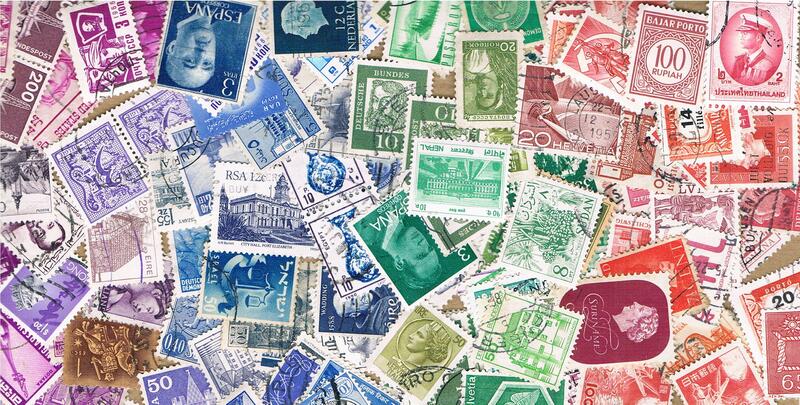 Venturing out into a different corner of the postage stamp world definitely has inspired me. 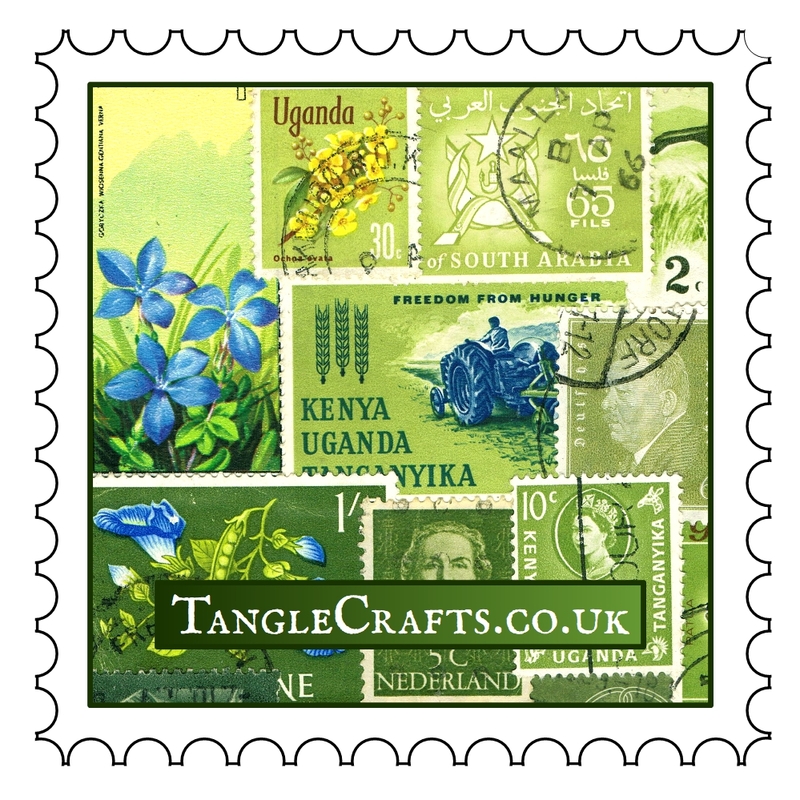 The colours, styles & production values and all my (ongoing) postage stamp projects culminated in the design of a brand new TangleStamp – and anyone who is familiar with my previous TangleStamp designs will see that this has been a big change of direction for me! This journey is documented in the equally brand new issue of MailCraft #3, which follows through these projects and thought processes. 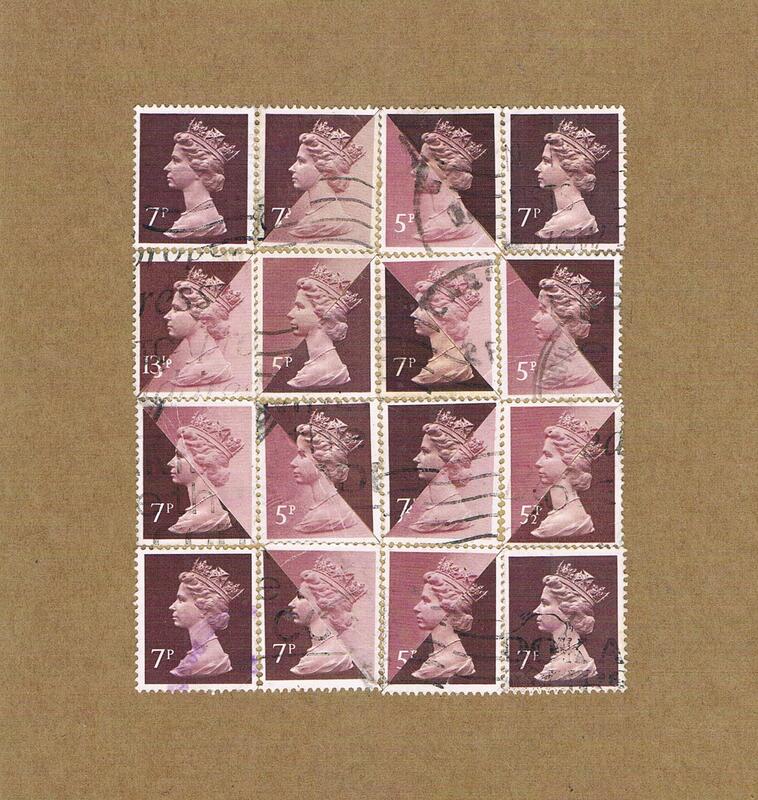 It also includes mini-tutorials for very simple postage stamp collage, if you want to give it a try yourself. 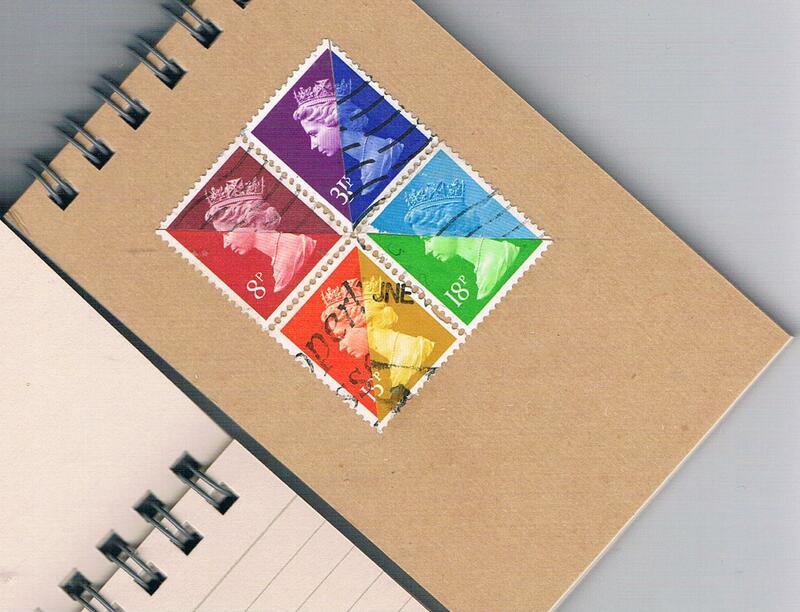 MailCraft #3 is currently available as a standard 24 page edition with plain kraft cover and self-adhesive TangleStamp insert OR (while stocks last!) 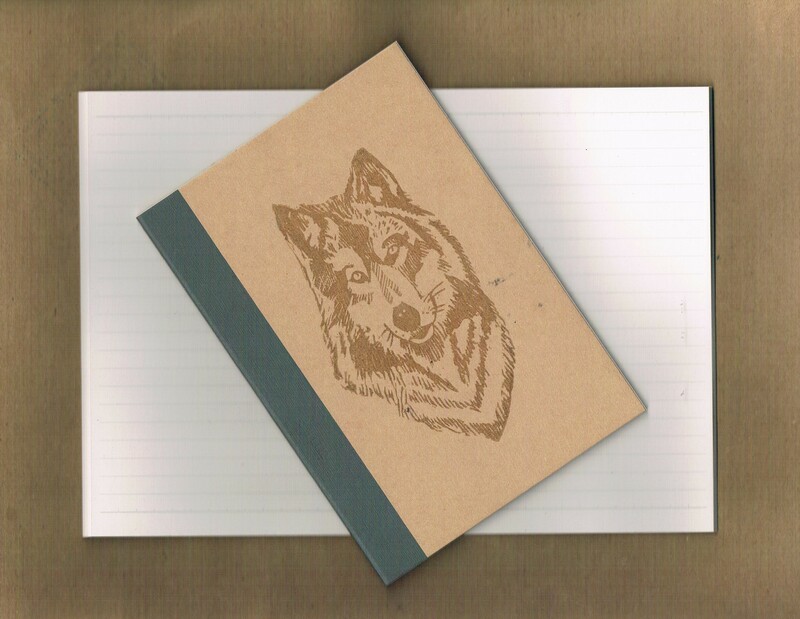 a numbered, limited edition of 10 copies which has a bonus outer cover which can be transformed into a postcard with your own collage, plus a gummed (lick & stick), hand-perforated TangleStamp insert. 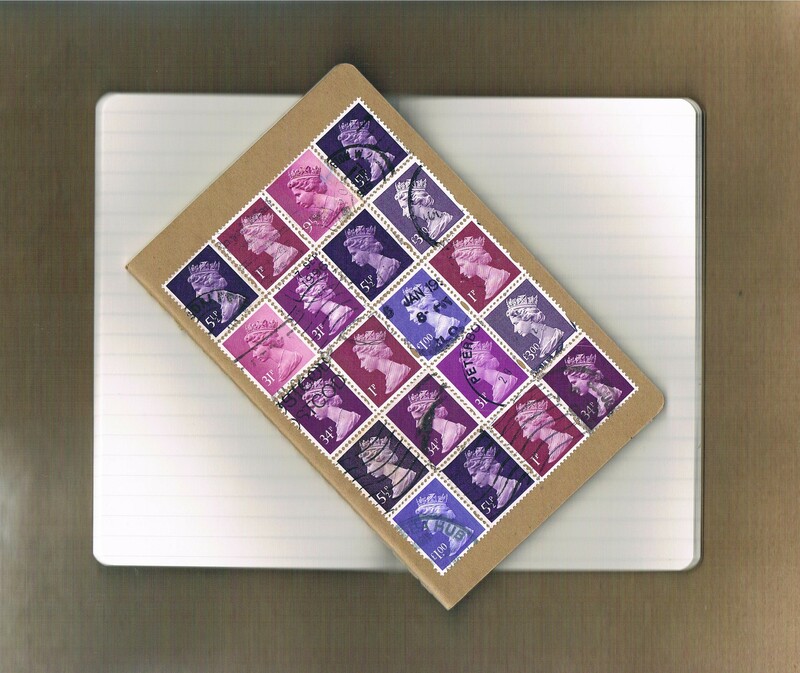 Posted on February 5, 2014 February 6, 2014 Categories design, Designing, faux postage, Inspiration, Links, Mail Art, ZineTags artistamps, faux postage, Inspiration, making artistamps, postage stamps, tanglestamp, vintage stamps, ZineLeave a comment on Stampy stampy goodness!